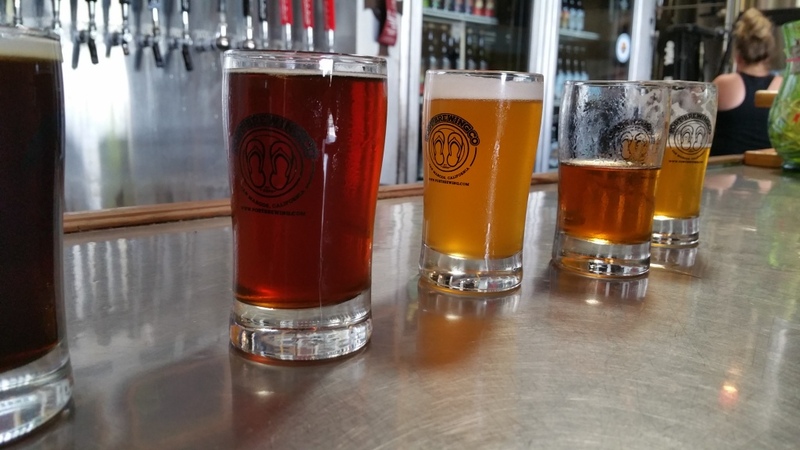 As part of brief San Diego County brewery tour last month, along with a couple of other guys, following our first brewery at Bagby Brewing, we then made a stop for a duo of breweries. 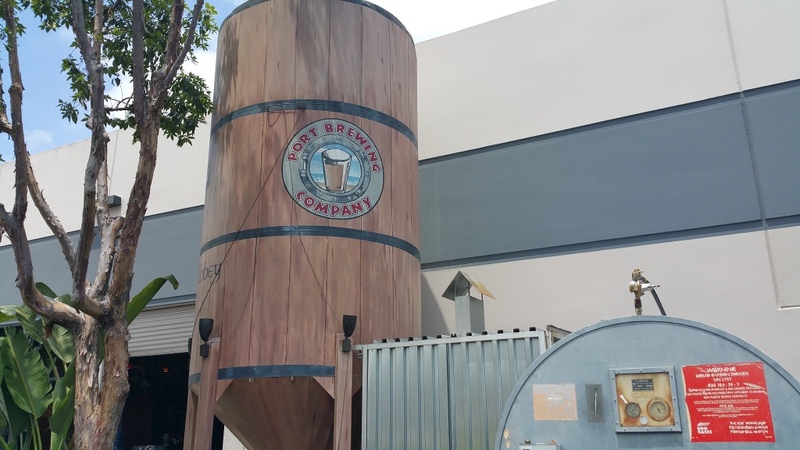 Located in the original location for Stone Brewing, both Lost Abbey Brewing and Port Brewing share a space. It’s in a warehouse that is spacious and they have free 1oz bags of Snyder’s of Hanover Bacon Cheddar Pretzel Pieces (OU-D) available complimentarily for customers, which is really cool. 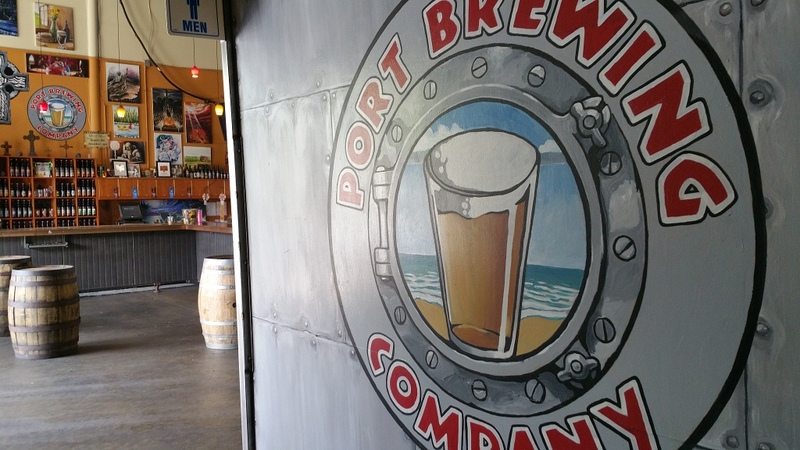 Since I already discussed the Lost Abbey beers, here are my tasting notes on the Port Brewing Company’s beers. We started off with the Wipeout IPA (7.0% ABV), a west coast classic, which was a nice, light beer, with dank hops (not as much as Bagby’s), noticeable amarillo and centennial hops. Next up was Shark Attack (9.5% ABV), a “Double” red ale brewed with great crystal malt flavors, which was an incredibly amazing beer!!!! All three of our drinking trio agreed that it was very good. It’s full-bodied and really delicious as well as hoppy, and one can’t even taste the boozeyness of it. Wow! Next up was Mongo IPA (8.0% ABV), a double IPA, which was danky, but not overwhelming. It was tasty, but not too big bodied. We then had Old Viscosity (10.5% ABV), an Imperial Stout, which had a pleasant effervescence and nice coffee flavors that are noticeable, but don’t take over; this is a yummy beer. 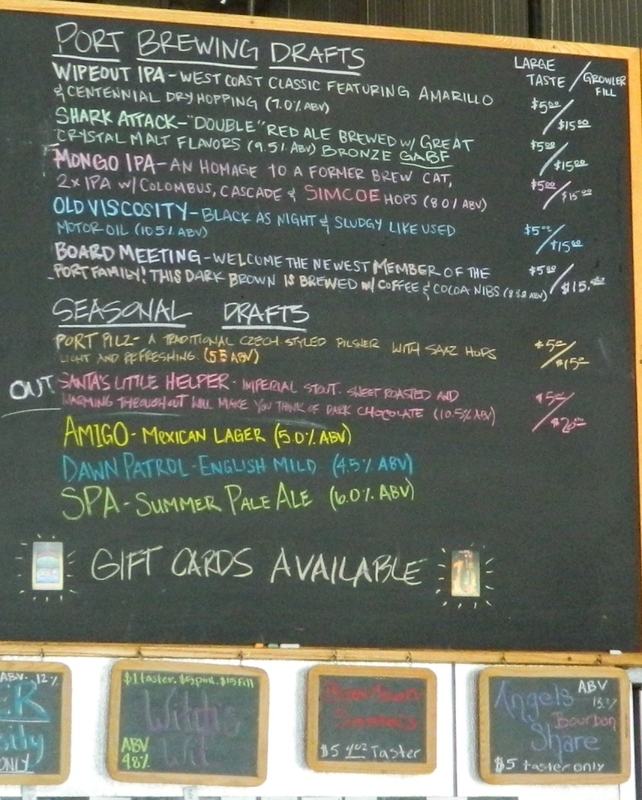 We then had the Board Meeting (8.8% ABV), a dark brown, which featured lovely coffee flavors and more – not simply as a brown ale. All of the beers at Port Brewing were great and I think we all agreed that the Shark Attack is a really special deliciously tasty beer!